On this show, I was interviewed by Chris Harder, a mid-western guy who shares the same hard-working, overcome anything, values as I do. This chat was originally aired on The Love of Money Podcast. Chris and I talk about everything from being raised poor to making lots of money and giving back. We also do one of my deepest dives into my anxiety attacks. Give us an idea of what your upbringing was like and how did it lead to all of this success and epic knowledge that you have today? I grew up on a farm in Canada in a city called Stratford. If you grow up in a small town you do two things when you become a teenager. You play hockey and you start drinking beer. I did start drinking beer and partying and that helped with the introverted stuff, but it didn’t help in the long-term thing. Then I went to college and got a master’s degree in exercise physiology. I got very lucky that I got right into men’s health in 2000 when I was still 25. That allowed me to build a program called Turbulence Training, got some fame and credibility, and built an online fitness business that I ran for about 15 years after that. Had a lot of success, and have helped a lot of people online. I was really grateful for that. But all along the way, I was still that farm boy who was partying on the weekends, being a good boy during the week, partying on weekends. It caught up to me in 2006, which was the lowest point of my life when I was about 30 years old. I had these anxiety attacks from what I call the paradox of freedom, Chris. 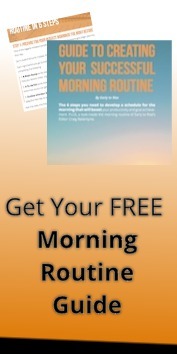 I was having this online business that allowed me to work whenever I wanted from wherever I wanted, and I did that. I worked all the time. I also was able to go out whenever I wanted, and I partied all the time. Eventually, I went to the emergency room. And as soon as I said, “I think I’m having a heart attack”, they rushed me to the back. Describe to us what it’s like to have your version of a crippling anxiety attack. And then what did you do to really start to overcome these? Mild day: I will feel stress and a little bit of tightness in my chest. Mostly, it’s feeling anxious, short of breath, and I have lots of thoughts running through my head. Hard Day: It felt like I was having a heart attack. I had tingles from the top of my head down all the way to the end of my fingertips literally 24 hours a day, seven days a week, for a six-week period in 2006. I had a tight chest, elevated heart rate. I couldn’t breathe very well. Anybody out there who is suffering from anxiety, whether it’s full-blown or whether it’s just the little bits here and there, anxiety is a black box because, first of all, you cannot explain it to yourself. I can explain to you when I have a broken arm, you know, the bone in the arm broke, and now I have to have a cast on. Everybody understands that. But nobody understands the mental illness of anxiety. Now, it’s not easy. It’s not overnight, but doing this will put you on the fast track to success. Have you seen a trend of people doubting themselves within your coaching world? It’s part of that getting out of your head. It holds people back because at the root of anxiety is self-doubt. Self-doubt is the number one killer of people’s hopes and dreams. Self-doubt leads to low self-confidence; low self-confidence leads to people making bad decisions. So many entrepreneurs, especially female entrepreneurs, take on so much stuff and then suffer in silence. Suffering in silence is the worst thing that you can do when you are struggling or when you’re stressed out. I’ve got to ask you, why do we do this? Why do we suffer in silence? Admitting a weakness is definitely a strength in this day and age because disclosure is disarming. On one side you are this world-renown trainer, but then on the other side, the other half of the world views you as this business and productivity expert coach. So how have you done so well in both worlds? I think it all comes down to the fact that I’ve always wanted to do things faster and more efficiently. I created a fitness program that, at the time, was kind of revolutionary. I was fortunate, I had some luck and some timing that allowed me to do that. I also had good coaching and mentoring. I hired a that taught me how businesses actually run, as opposed to the way that I was fumbling through it for the three or four years before that. 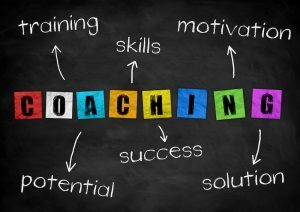 When I got the coach, I got exponential results with the fitness business, which allowed me to go and share and pass that along to other people. Then that’s when I started moving into coaching other people and helping people become more productive and looking at their life with a thirty thousand view and focusing on values and vision, what I do today and the Perfect Day Formula stuff. Who are some of the best mentors you’ve had? Tom Venuto: The first coach I hired back in 2006 who asked me a very pivotal question and asked what I wanted my business to look like in 5 years. Matt Smith: My business partner, one of my best friends, a mentor, and coach. Bedros Keuilian: One of my absolute best friends, business partner for seven or eight years now, and coach. I give $30,000 to my best friend to make me a better salesperson and start my coaching programs. I pay, and I invest because when you pay, you pay attention. He is also one of the hardest guys on me. I mean if he sees me doing something wrong, he’ll give me a dirty look, and that’s what you want. If you don’t care what your mentor thinks if you don’t care if you let them down, or if they’re not giving you accountability and they’re failing you. So those are my big mentors in my life that have made a huge, huge difference for me personally and professionally. 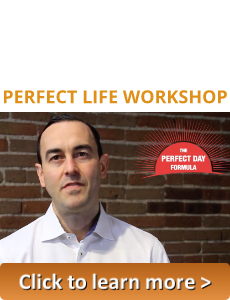 What in the world is the Perfect Day Formula? It’s not when you sit around in a hammock and drink margaritas all day. Imagine a day when everything’s rocking and rolling. You’re getting so much done, and you’re moving ahead. Not only are you getting a lot of little stuff done, but you’re getting really big stuff done. You can structure your day so you have a perfect day every day. 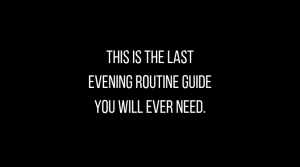 When it comes down to morning routines and rituals, and what I call rules for your life, which is like building in a powerful operating system. You do all this structure and routine and discipline so that at four o’clock, or five o’clock, or six o’clock or whatever time it is that you quit work, you go home to all of this stuff that you’ve worked so hard for and you get to enjoy it. That’s the Perfect Day Formula to me, and that’s what I coach people on. I feel like people tend to sacrifice the happiness at home for the thriving business. Do you tend to see that in your clients? I host Perfect Life Workshops, and one of the first things we do in the workshops is we get the values of the person out. Because what you’ll see, and this is not just related to work, but also in personal relationships. You have to prioritize, and take a look at your values. That’s why we start there. What are your true values? And then your values drive everything that you do. What would be better for people to start with? Your book or The Perfect Day Formula kit? The Kit: It comes with all of these success tools where there are little mini-booklets that ask you questions. A lot of it is Socratic questioning, and a lot of the Stoic philosophy introspection and self-reflection, and gets all the clutter out of your head. What role has generosity played in your success? Generosity has been a big shift for me. 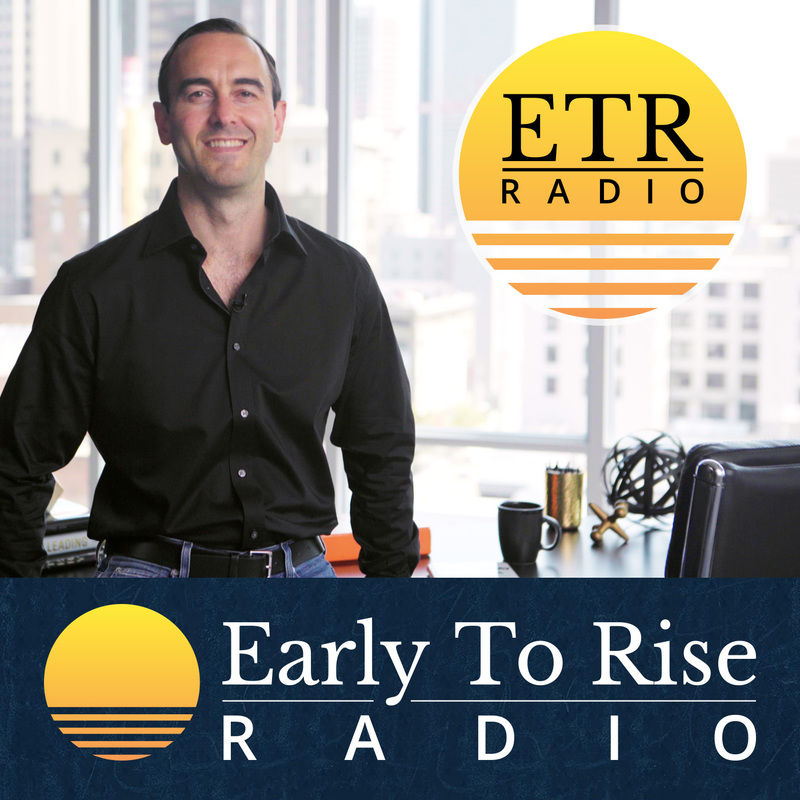 I grew up with a scarcity mindset as a lot of people listening to this podcast probably have. Anybody from a rags to riches story probably worries about losing it all. Some people are obviously, naturally generous. I wasn’t. I was not generous enough until I started getting into the gratitude stuff, and started getting into meditation and becoming a more patient person instead of trying to rush through everything. A few years ago, I had one other epic kind of shift in my life that I thank my business partner, Max Smith, for. We started getting involved with the Toys for Tots charity drive that is in every major American city. This will be our sixth year of doing it, and we invite over 100 entrepreneurs to Denver every year and last year we bought over $165,000 worth of toys. How did you transform from scarcity to being this person who knows everybody and does so much for everyone? I’ve always really focused on the connections. I had a scarcity mindset coming from a poor farmer background. My father was an alcoholic. We didn’t have a lot of money. I had patches on my clothes when I went to school. And I had a bad money mindset from my parents. They just didn’t know any better. To this day my mother thinks I spend money on frivolous things, and I do in a way, especially in her eyes; but to me, it’s not. So, I got rid of it by getting out of a negative space, and I think that really helped me. I’m sure that wasn’t the answer you were expected, but that’s what really helped me. What is your all-time favorite moments of giving? I would have to say every single year we break the record for Toys for Tots. Why should people be unapologetic about their pursuit of success and wealth? Because of what you can do with that money. I always think some kid is going to wake up on Christmas morning, some kid who’s, for whatever reason, parents are in a bad situation, and they’re not waking up with a toy unless Toys for Tots was there. And the Marines deliver toys to all those kids. Some kids going to wake up and go, “Hey, I got my toy. This is really cool, but why did I get a toy from these strangers. I want to go deeper into this, and I want to figure out how I can be successful, and how I can be generous.” That person’s going to go on and do great things. The world is full of bad stuff and if you make a ton of money and you do good things with it, you’re a saint. That’s what it’s all about. Craig, I can’t thank you enough for just the transparency and the great stories and best of all, all the tips and knowledge that you shared with us today. You are welcome. What a fun show. As you can see Chris is amazing at what he does when it comes to these interviews. I hope you enjoyed that one, and I’d love to hear what you think is the right attitude about money and success. Please email me at support@earlytorise.com or send me a message on Instagram or Twitter. Thanks for listening to Early To Rise radio. Please head over to iTunes and rate today’s show and also share with your friends.